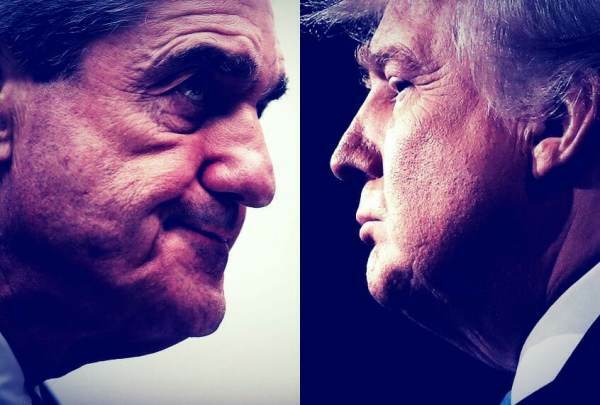 On Monday morning, President Trump renewed his calls for the Mueller witch hunt to end after the Carter Page FISA docs confirmed what we knew to be true — the entire Russian collusion hoax was made up and funded by Hillary Clinton and executed by Obama’s corrupt DOJ and FBI. President Trump did not hold back. He went after Crooked Hillary, Obama’s gang, the corrupt FBI/DOJ and Mueller. Trump tweeted: So we now find out that it was indeed the unverified and Fake Dirty Dossier, that was paid for by Crooked Hillary Clinton and the DNC, that was knowingly & falsely submitted to FISA and which was responsible for starting the totally conflicted and discredited Mueller Witch Hunt! President Trump then quoted fearless warrior, President of Judicial Watch Tom Fitton. Round two….and the DOJ, FBI and Obama Gang need to be held to account. Source #1 was the major source. Avoided talking about it being the Clinton campaign behind it. Misled the Court to provide a pretext to SPY on the Trump Team. Not about Carter Page..was all about getting Trump…. In his final tweet, the President called for the Mueller’s “discredited” witch hunt to be shut down. Trump tweeted: …..”Carter Page wasn’t a spy, wasn’t an agent of the Russians – he would have cooperated with the FBI. It was a fraud and a hoax designed to target Trump.” Tom Fitton @JudicialWatch A disgrace to America. They should drop the discredited Mueller Witch Hunt now! Thanks to Judicial Watch, the Carter Page FISA docs were released over the weekend. The docs also reveal the FBI used anti-Trump media reports from liberal news sites in order to obtain the Carter Page FISA warrants. Both Mueller and Rosenstein need to be fired and prosecuted. Rosenstein signed off on the FISA applications knowing Hillary’s phony dossier was used as evidence to obtain a FISA warrant and Mueller used Hillary’s dossier as evidence to hunt down Trump’s associates.